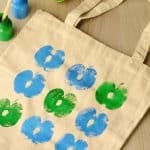 Need a fun crafy project for Independence day? 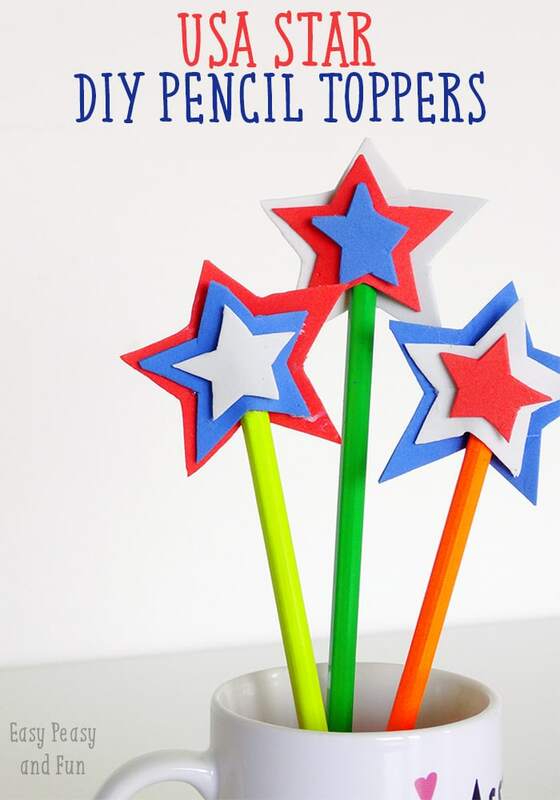 Why not make USA Star DIY pencil topper or two (or three)! 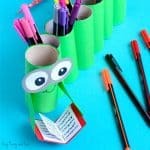 Lets’ make a DIY pencil topper! 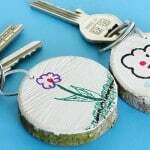 glue (preferably a glue gun – you can get a low heat one if you’re crafting with little kids). First let’s make a template for the star. The easiest way to go about this and to make stars that will go one on top of another nicely is to draw a star in a star in a star (complicated much?). Start by drawing the smallest star. Now draw the middle sized star around the small star and finish things of by drawing the biggest star surrounding the smaller two. 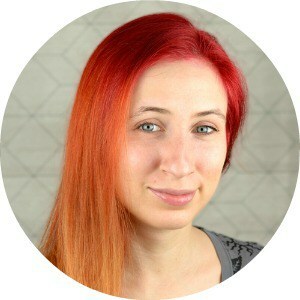 Cut the largest star. 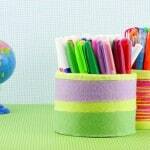 Draw an outline on the crafting foam (or just cut around the star). Make as many stars as you want and in all the colors you want. 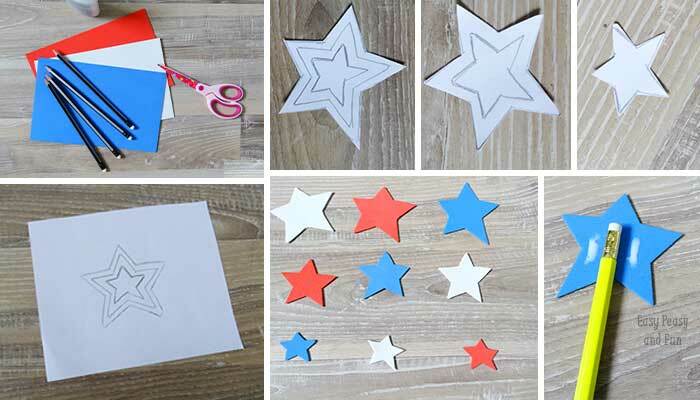 When you’re done with the largest star cut it away – cutting the middle star. 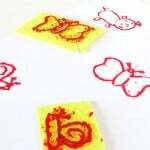 Draw an outline on crafting foam… Rinse and repeat with the smallest star. Now that you’ve got your stars ready it’s time to assemble them. Apply glue as shown on picture above (the picture shows white glue which has proved to be really ineffective – we ended up using a glue gun and it worked like a charm. Place the middle star on top of the big one. Finish it up with the smallest star. 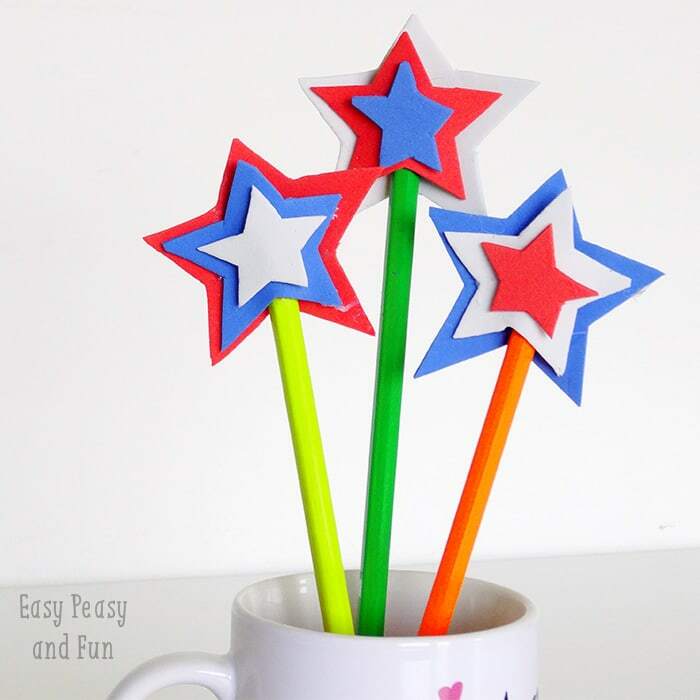 There you have it a bunch lovely USA star DIY pencil toppers! Perfect thing to have around you on 4th of July!